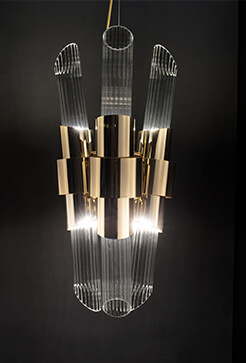 Answered: Your burning questions about DelightFULL’s graphic collection. Today we are going to show you the story behind the creation of the Graphic Collection by DelightFULL. This collection marries everything that is non-conventional and innovative, and it truly represents the soul of the lighting brand. 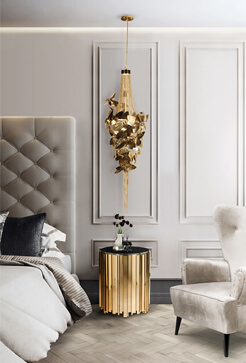 But how did DelightFULL’s designers came up with the idea of creating this collection? Your answers will be answered in this article. So, keep scrolling and let’s find out everything about this colorful collection that features the most dazzling marquee lights. It all started when DelightFULL’s designers visited LA and fell in love with the eccentricity and colorful lights of the city. Completely fascinated by Downtown Los Angeles, the designers realized that the DelightFULL’s DNA fit perfectly with the personalized and welcoming atmosphere of the city. The cultural and architectural resurgence of DTLA, the beautiful buildings, and the museums… This was exactly the kind of inspiration the designers were seeking. And they found it! Non-conventional and juicy: here they are, the colorful and extremely communicative marquee lamps made for DelightFULL’s new collection. Inspired by the neon lights of LA, each lighting letter is based on a wide selection of iconic type fonts with a modern twist. All in all, you can create the atmosphere you wish with the vibrant energy of this unique collection. And do you know the best part? Each lamp is highlighted with the most passionate and exciting neon bulbs that will flash your eyes at these unique lamps. READ ALSO: DISCOVER MID-CENTURY RIVIERA HOTEL IN PALM SPRINGS’ UPDATED LOOK!